Trina Moyles visits an urban permaculture community garden in Cuba. The two acre site has been transformed from a dumping ground for garbage into an abundant food and flower source for the local area as well as a place to learn permaculture principles. Seventeen years ago, Edith’s story began with garbage. The year was 1996. It was seven years after the collapse of the Soviet Union, and Cuba, being an island country who had depended on the Soviet powers for imported food goods, was still hungry from the crisis that had come awash on its shores. State farms, accustomed to producing sugarcane, tobacco and coffee for the export, responded to the crisis like slugs: slow to diversify and fill the food baskets of Cuban citizens. At the same time, the US trade embargo tightened the noose around Cuba’s neck. The world was wondering: would Cuba trade political ideology for food? The Cuban state scrambled to reorganize the way food would be grown on the island, where, and by whom. And the Cuban citizenry reacted even faster, resurrecting the memory of the guajiro/a (peasant farmer), turning to the traditional guataca (hand-hoe) and sowing seeds in unconventional spaces. Edith, from the city of Sancti Spiritus (the geographical heart of Cuba) was one of the Cuban citizens with the eyes to see flowers in garbage. To see food in waste. Edith saw potential in a two-hectare plot of garbage. It was a basuera, a garbage dump, with heaping piles of waste: food waste, material waste, industrial waste, human waste, located in the middle of residential buildings. It was a space used for throwing not growing. Yet, somehow, Edith envisioned, instead, una linda flor, a beautiful flower. Edith, alongside her late-husband, father, and two children, received the land 'in usufruct' (on loan) from the Cuban government based on the agreement that they would turn a wasted space into a productive space. Organiponicos are Cuban-borne, the name describing the small spaces in urban locations for growing vegetables, fruits, flowers, herbs, and medicinal plants. Foodstuffs grown at organiponicos are sold directly to Cubans and neighborhoods. It’s not uncommon to spot a woman in curlers, waiting at the Punta de Venta (Point of Sale) for organiponico workers to harvest the green onions that she’s purchased (at government regulated prices) for the pot of soup that’s simmering in her home’s kitchen…just across the street. In the first years of operating her organiponico, Edith focused mainly on flower production, growing what she described as 'monocrops of flowers' in long lines of concrete raised beds. Edith employed men and women from the neighborhood to help her cultivate and cut fresh flowers for sale in the Sancti Spiritus markets. She and her family often relied on applying chemical pesticides and fertilizers, particularly after several years of harvesting and exhausting soils in the raised beds. Natural disaster struck in 1998. Hurricane Georges swept up and spat out every beautiful flower at Linda Flor. Discouraged but undeterred, Edith and her family picked up the broken pieces of their labor of love, and planted once again. In 2001, Edith participated in a training course on ‘La Permacultura Criolla,’ a sustainable agriculture and human systems concept that had arrived in Cuba via Australian and New Zealand organizations, and had been slowly spreading to farmers and producers through a Cuban institution, Fundación Antonio Nuñez Jimenez de la Naturaleza y el Hombre (FANJNH), Foundation for Nature and Man. After learning more about the ethics and principles of la permacultura (biodiversity, cooperation and crops/animals that serve multiple purposes), Edith began transforming her monocrop of flowers into a diverse, integrated system. Edith’s organiponico now grows a plethora of decorative flowers, cacti, vegetables, fruits, and even integrates small animals into the system. Rabbits are raised in elevated cages where the manure falls into worm composting for organic fertilizers. Guinea fowl are raised in a cage above a pond filled with tilapia fish (so the manure falls into pond for fish food). And most importantly, Edith has colonized a number of hives for pollination of her flowers. Today - Edith’s organiponico has developed into a permaculture demonstration site that employs 19 workers, and involves 36 families. Edith is a promotora (promoter) with FANJNH and instructs other farmers and producers how to integrate permaculture theory and practice into their own growing sites. On an annual basis, hundreds of Cuban and international farmers/students visit Linda Flor to learn about Edith’s inspiring story of transforming garbage into food and flowers. Edith has vowed to never again return to the use of chemical pesticides and fertilizers. Edith is passionate about using local resources to build organic soil through composting and mulching, and recycling nutrients back into flower and food production. Edith’s solution to producing more organic soil, on site, involved - literally - knocking on her neighbor’s doors for help. She developed the idea to collect organic waste (kitchen scraps, toilet paper rolls, papers, cardboard, etc.) from residents at the two apartment buildings surrounding Linda Flor. One of her workers uses a bicycle-cart to pick up organic waste from 40 households, twice a week, for large-scale composting. A bucket of waste from every participating household really adds up. 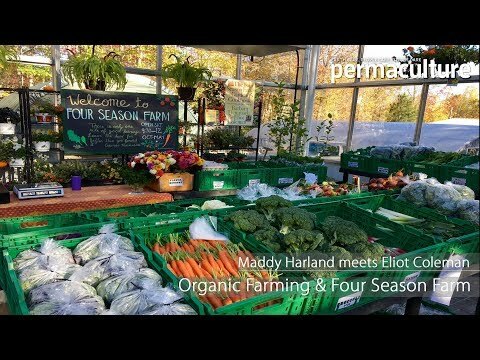 Through layering compost piles of organic/non-organic materials (found on-site) Edith is able to produce 220 tons of organic soil on a yearly basis. After harvesting flowers and food from the raised beds, Edith adds organic soil to the beds to ensure optimum quality and yields, and a constant supply of vegetables and fruits to her neighbors. Edith’s system includes one of the most beautiful bathrooms and composting toilets that I’ve ever laid eyes on. The composting toilet was an innovation brought to Cuba from a farmer-to-farmer visit in Mexico. One of FANJNH’s promoters traveled back to Cuba with a special ‘toilet seat’ in her suitcase, and the basic building blue-print. At Linda Flor, Edith’s workers use the toilet on a daily basis. The seat directs solid/liquid waste into distinct compartments, as urine requires aeration (to release ammonia), and feces requires the mixing of sawdust/ash (and six month’s time) to break down into usable compost. Urine is diluted with water, and sprayed as a foliar organic fertilizer - some people describe it as “liquid gold” (rich in nitrogen). Composted solid waste (or ‘humanure’) is applied at the base of fruit trees, decorative plants, and non-vegetable crops. In order to replace nutrients in the soil, at a rapid pace, Edith employs millions of other workers at Linda Flor. They’re small in size and large in number, and they live to do three things: eat, reproduce and defecate. Red wiggler worms are common in Cuba. At Linda Flor, they are located beneath a number of raised rabbit cages. Rabbit manure and urine falls through the wire mesh directly into the worm beds. Edith and her workers also add organic scraps, including vegetable and flower waste, to nourish the worms who feed vigorously and convert waste into uber-rich organic soil. Regardless of Edith’s creative efforts at Linda Flor to develop a successful and inspiring community permaculture and food production site, one aspect of Cuban culture prevails: “Nadie es el dueño de la tierra” - No one is the owner of the land…but the Cuban state, of course. This is also the main distinction between Bill Mollison’s original concept of permaculture and Cuba’s permacultura (embedded within their socialist political structure). Land ‘in usufruct’ means that the government can decide for how long land can be utilized, and for what purpose. In Edith’s neighborhood, the Cuban state had begun to shift its priority from food production to expanding residential infrastructure. When I visited Linda Flor in 2011 and 2012, Edith expressed some anxiety that she would be ‘relocated’ to another site, and potentially lose upwards of 10,000 plants growing at her nationally-recognized organiponico. While the future of Linda Flor is somewhat uncertain, Edith’s conviction for permaculture, community development, and organic agriculture continues to grow - ever straying from her original vision of seeing potential in perceived nothing.